CYCLING: Central Queensland's champion cyclist Anna Meares has claimed her ninth career Elite Female Track Cyclist of the Year Award. The 33-year-old, who announced her retirement from the sport last month, received the honour at the Jayco 2016 Australian Cyclist of the Year Awards in Melbourne on Friday night. Her 2016 achievements were headlined by her bronze medal win in the keirin in Rio, which made her Australia's most decorated Olympic cyclist. She also collected silver in the keirin at the world championships, plus three national titles. 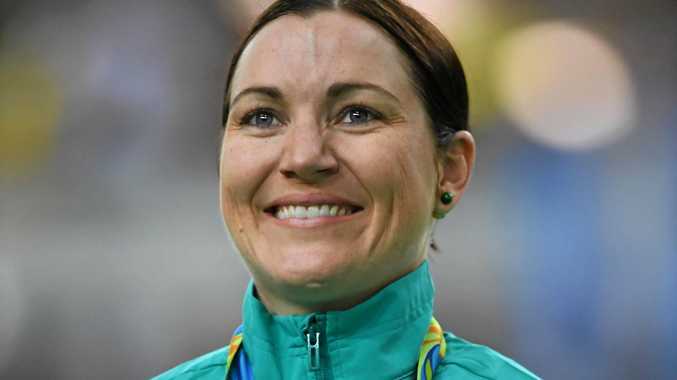 Over the course of her career, Meares has won six Olympic medals (two gold), 27 world championship medals, eight Commonwealth Games medals and 35 national titles.